As a kid, I remember being sent to the basement to get bread or meat out of the big chest freezer for my mom. I used to have to use a stool and then go digging way down and freeze my hands trying to find the things she asked for covered in frost. Fast forward and I still find the deep chest freezer hard to navigate. You don't want to leave it open to long, but as you add some of those deals you got at the grocery store on top of the things you bought possibly months ago, it is possible that you could feed your family for months based on what is in the bottom of the freezer! You simply want to get in and out quickly and not freeze your poor hands moving chunks of meat and boxes of burgers around in a pile looking for the right cut of meat you want for dinner tonight. You might even be buying multiples of products as some of them migrate to the bottom never to be seen again! Now this might be a slight exaggeration, but if you shop for deals and love to freeze them, then having a bit of a plan does make life easier in the freezer. I just inherited one from the last owners of this house, and it is in good shape, but it has nothing in it, not even a shelf, so I went researching on ways to organize a chest freezer that would make life easer and let me know exactly what I am filling it with. Here are the ideas I found and hopefully they give you an ahahaaa moment and you can use them too. 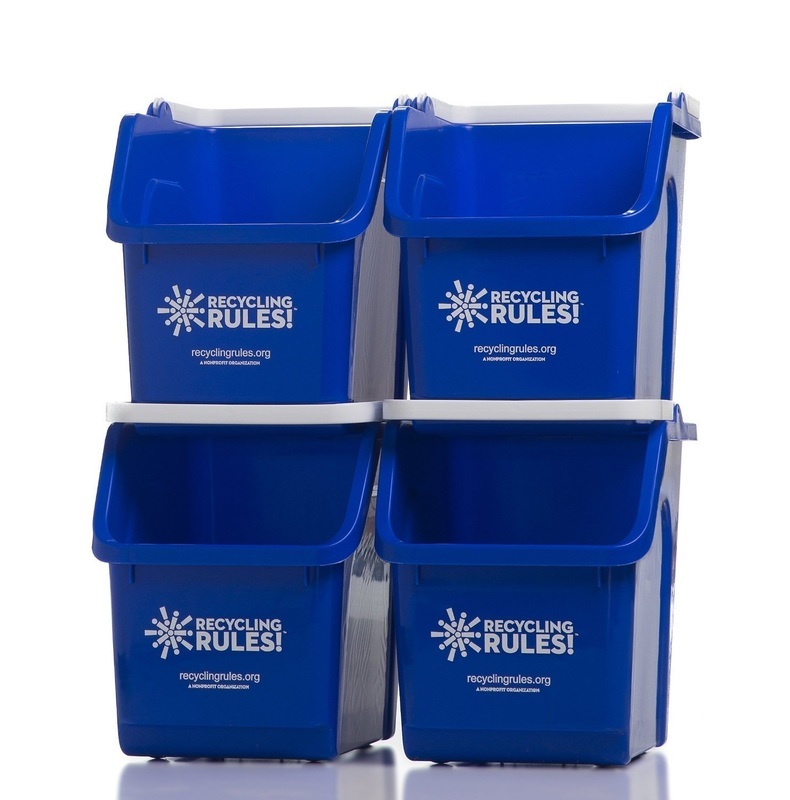 Stackable Recycling Bins with Handles. You may think this is an odd idea, but it can work quite well. These are smaller stackable bins with handles, and you simply organize your chest freezer by putting like with like in each bin. For example, beef cuts in one bin and chicken cuts in another bin or fish and even breads can be in a bin and not crushed. You can lift out one bin to get to the other, and see at a glance just what you have in your freezer so you don't buy too much of the same items. This stops them from crushing each other and working their way to the bottom of the freezer never to be seen again. Check out the video below to see it in action. I thought this was a great idea. If your freezer didn't come with a wire basket, or you want to add the same type of basket, you can purchase them online too. If you don't have a very large chest freezer, then the simply basket might be enough. You can still store "like with like" and simply lift it out when you need something. These smaller baskets are also good for the refrigerator or side by side freezer. As you can see in the video, there is a basket to fill in the space beside the recycling bins. These deep storage baskets could be used for bags of frozen veggies and breads to one side of the freezer, or beside the blue bins to fill up that extra space as in the video. These stackable sturdy plastic bins would be perfect for the smaller chest freezer. You could still keep "like with like" and stay on top of your inventory. No more rummaging in the bottom or splitting open bags of frozen veggies trying to move things around to find the cut of meat you want. (been there!). The secret is making sure they are stackable so you can simply lift one basket off of another and know that the products in each basket have not been crushed, which can happen when you first throw things in. Sometimes you can get some great deals at the grocery store and to take advantage of the savings keeping them organized is best because you quickly lose the savings if they get freezer burn which can happen when some cuts of meats migrate to the bottom of the freezer never to be seen again or the wrapping rips off while rummaging! So, if you plan on filling your freezer with deals, or those frozen veggies from your garden, then take the time now to organize your chest freezer so that you get the freshest first and know exactly what is in there.